CVS Caremark Corporation (NYSE:CVS), one of the leading drugstores, had announced in February this year that it would stop cigarette sales in its stores October, but has pulled a surprise by directing a withdrawal a month before the scheduled date. The company is also said to be making a change to its name in a strategy to refine its corporate identity. Forbes Magazine revealed that the decision to remove cigarettes and to change its name from CVS Caremark Corporation (NYSE:CVS) to CVS Health (NYSE:CVS) is in line with its wider plan to focus more on the betterment of healthcare and to transform the future health of the American people. This will affect all its more than 7,700 stores spread across North America. 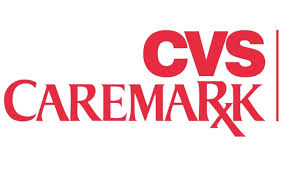 New York Times in an article said that the move by CVS Caremark Corporation (NYSE:CVS) could prove very lucrative and is believed to be a leeway for greater partnerships with other entities within the health sector. The health sector has registered growth in the recent past, and a move to focus purely on the improvement of health is timely. In the recent years, CVS Caremark Corporation (NYSE:CVS) has focused more on customer healthcare by building several walk-in clinics and expanding the range of services they provide. The company has introduced flu shots, vaccinations, and has also been helping patients monitor diabetes, blood pressure, and other chronic conditions. CNBC said that the bigger focus on healthcare could also be to serve the aging and the many uninsured Americans.